Shopping for a mortgage? We'd be thrilled to talk about our mortgage offerings! Give us a call today at (303) 650-9400 or Apply Online Now. Some new home buyers make the mistake of rushing out to buy new things for their home soon after the seller accepts their offer and the lender approves their loan. Until your loan closes, there still remain some hurdles to jump. Here are some actions to refrain from before closing to assure the transaction goes well. Don't throw your money around. Although you may be dreaming of ways to turn your new home into a castle, avoid major purchases like appliances, electronics, or furniture. You will also want to avoid vacations and car purchases until your loan closes. 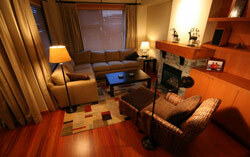 Your credit numbers could change suddenly if you purchase new furniture using credit cards. Because lenders are looking closely at your bank accounts, a large cash purchase is also a bad idea. Don't get a new career. Consistency in your career history is a good thing to banks and other lenders. Getting a new job before you start the application process for a loan may not get in the way of your approval at all. However, switching jobs during the application process might affect whether or not you are approved. Don't move cash around or switch banks. Bank statements from the last two or three months for accounts in your name (savings, checking, money market, and others) will likely be analyzed as the lender makes decisions regarding your mortgage application. To avoid issues, lenders look for clear documentation of how you earn your living and where any additional funds come from. Changing banks or transferring money elsewhere - for whatever purpose - may hinder the review of your accounts. Avoid new credit inquiries. Try to avoid applying for any additional credit while your loan is in process. Even applying for a credit card that saves you money on the first purchase could cause issues. Any new inquiries on your credit bureau between the date you apply and your closing may have to be explained and documented if new credit opened. This may delay your closing or affect whether or not you are approved. A Home's Best Mortgage, Inc. can answer questions about these "Don'ts" and many others. Give us a call at (303) 650-9400.